Robiei (1891m) can be reached from San Carlo in Val Bavona, where you can park and take the cable-car (15 minutes), or follow the trail (two hours). The cable car, operating from June to October, has an 870 m drop. Lodging is available in Robiei at the hut (Basodino) and the hotel. The Robiei area offers a wide selection of excursions. The following four can be done without difficulty or danger to reach all the lakes. 1. From Robiei climb to the Lake of Matorgn (2450m), continue to Randinascia (2156m) from which return to Robiei: three hours. 2. From Robiei to the Lake of Zott (1940m), continuing to Randinascia and Robiei: three hours. 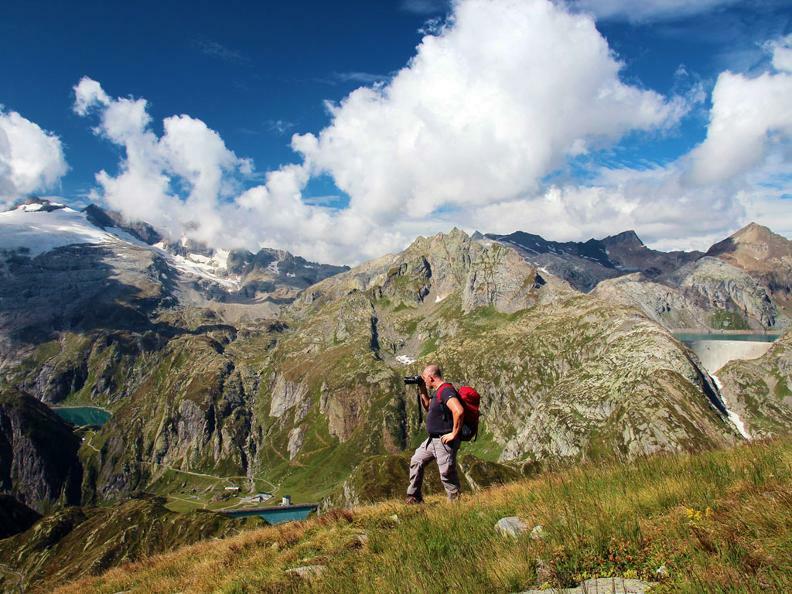 Physically fit hikers can do these 2 hikes in one go. After reaching Randinascia from the lake of Matorgn climb toward Basodino to a height of about 2250m, turning left toward the lake of Zott. 3. 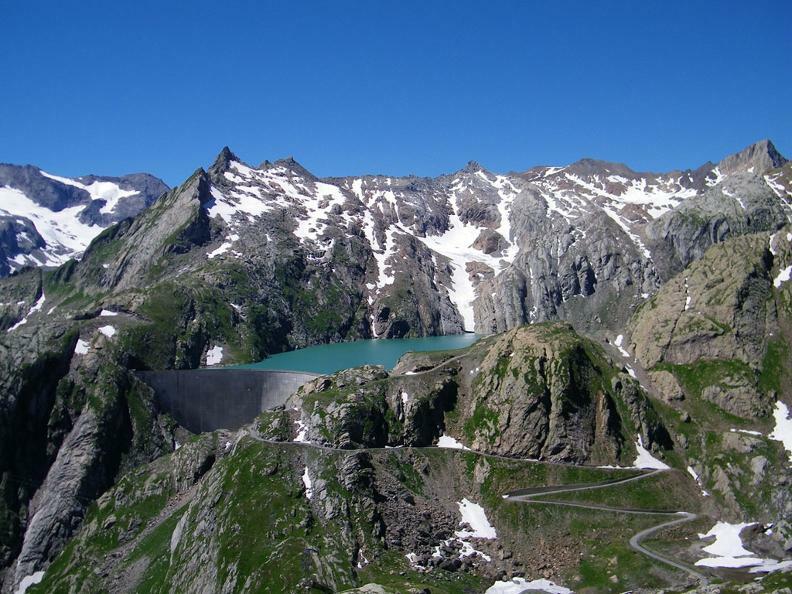 From Robiei climb to the lake of Robiei (1940m), continue to the Bianco Lake (2076m) and to the lake of Cavagnoo (2310m) from which return to Robiei. Return the way you came or descend straight to Robiei after crossing the Cavagnoli dam. 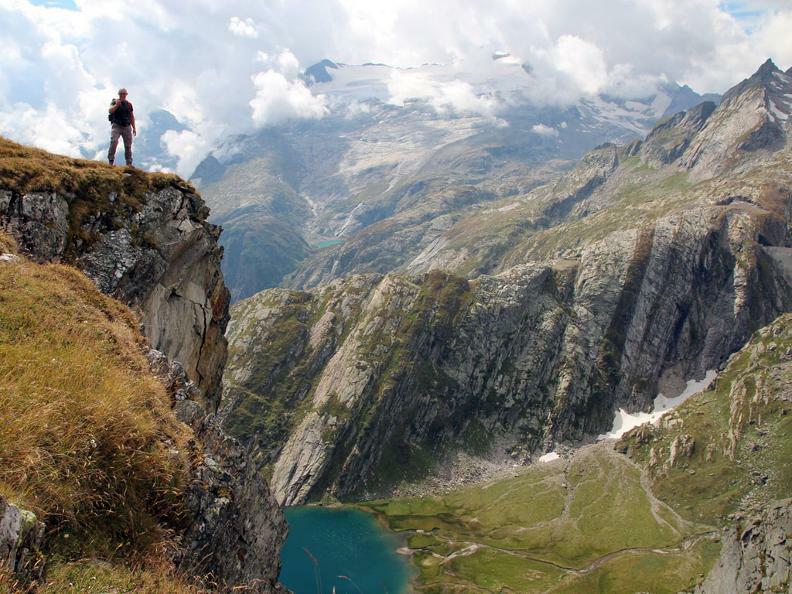 This itinerary too is only for good hikers. 4. 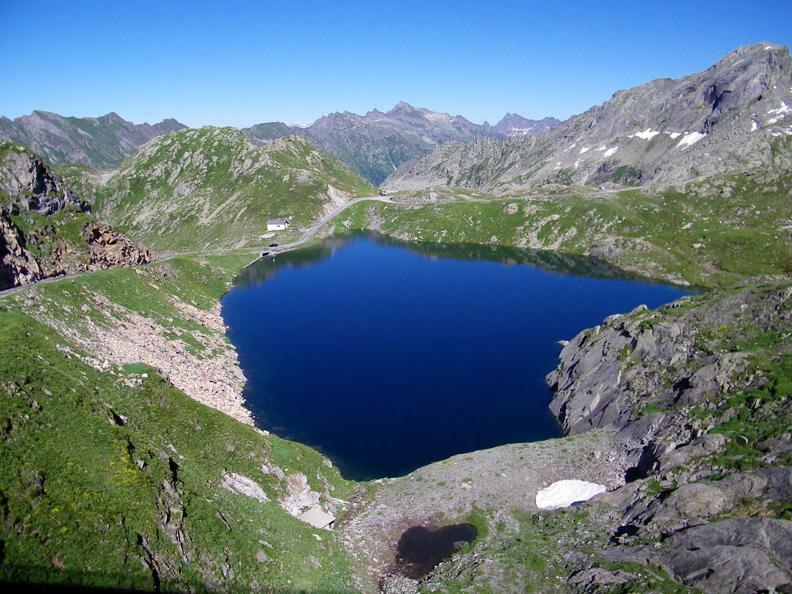 From Robiei to the Robiei Lake, then the Bianco lake to the Nero lake (2387m). Returning to an altitude of 2340 m you can reach the Sfundau lake (2363m) and return to Robiei passing from Cortino (2210m) - a 4 hour hike. This excursion can also be done reaching Cortino by road and then climbing, from the indicator sign on the right, to Sfundau. From this lake you reach Nero, from which you can descend to Robiei passing along the Valletta, which leads to Lielp (2003m). June- September is the best time for these outings.